Happy 4th of July! It has been super quiet around here on the blog since mid-May and I must say, I have missed you all terribly. 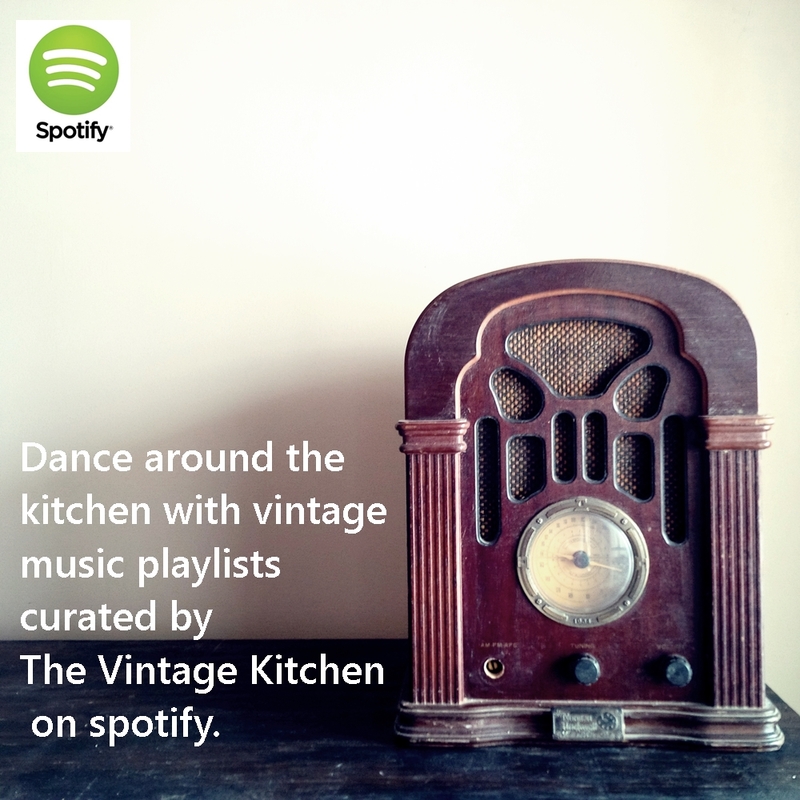 There was a family tragedy and a family illness that took me unexpectedly far away from the Vintage Kitchen for most of June. 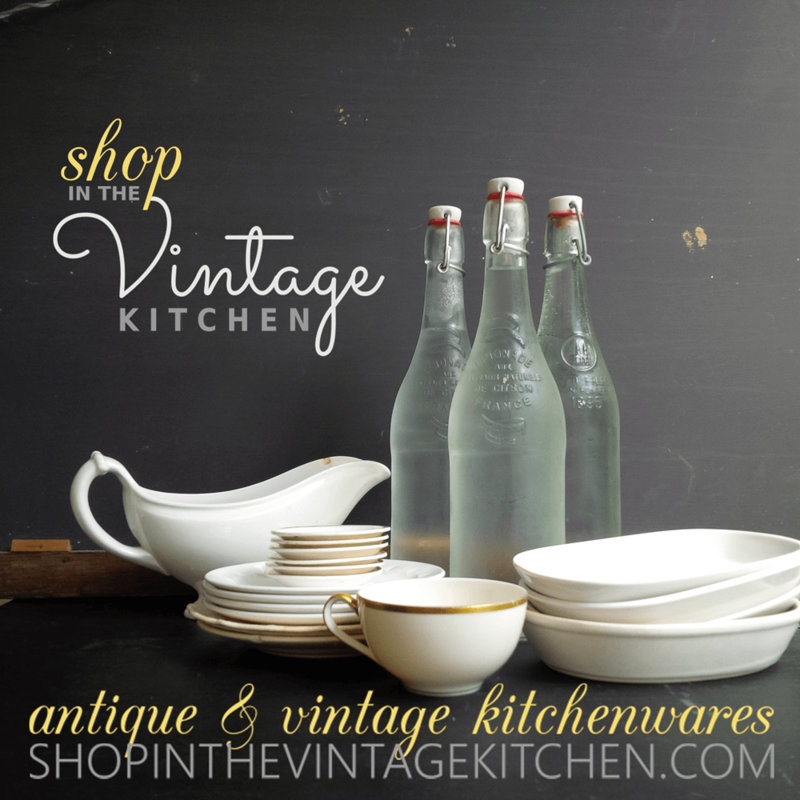 But I’m happy to write that I’m back and ready to dive into a plethora of new kitchen stories starting this week. Exciting things coming up in July include an interview with a creative artist who will make you look at your refrigerator in an absolutely new and enchanting way; we will travel back in time to a hotel in 20th century Minnesota and share a few recipes that made them famous around the world; we’ll learn about a guy who invented one of the most addictive foods ever known to eaters; we’ll celebrate three national food recognition days and we’ll host a giveaway that is guaranteed to add a little sparkle to your life. So stay tuned on that front. July is full of fun! 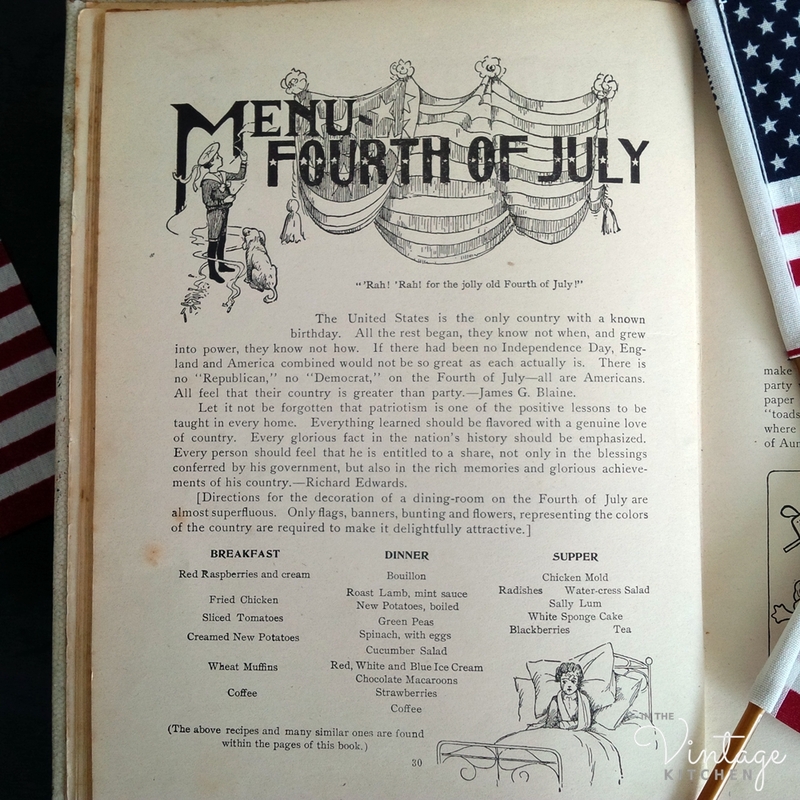 In the meantime, since it’s a holiday today and you are out and about celebrating with friends and family, we’ll keep this post short – a litle dollap of history pertaining to patriotism and how Americans ate their way through Independence Day in 1902. Decorations were simple…bunting, flags, flowers and the natural settings of the great outdoors. There were parades and town concerts and special events planned throughout the day. July 4th, 1902 in King’s River, California. Photo courtesy of the Sierra Club. Conversations were full of pride, in the general achievements of the country. Unlike today, where the political terrain is quite rocky and American morale is at an all-time low, in 1902, patriotism was a bit more revered. President Roosevelt prepared a speech saying nothing but thank you to the American military for continuing to extend and uphold the open arm ideals of the United States and pledged to continue to promote peace and tolerance throughout the world. 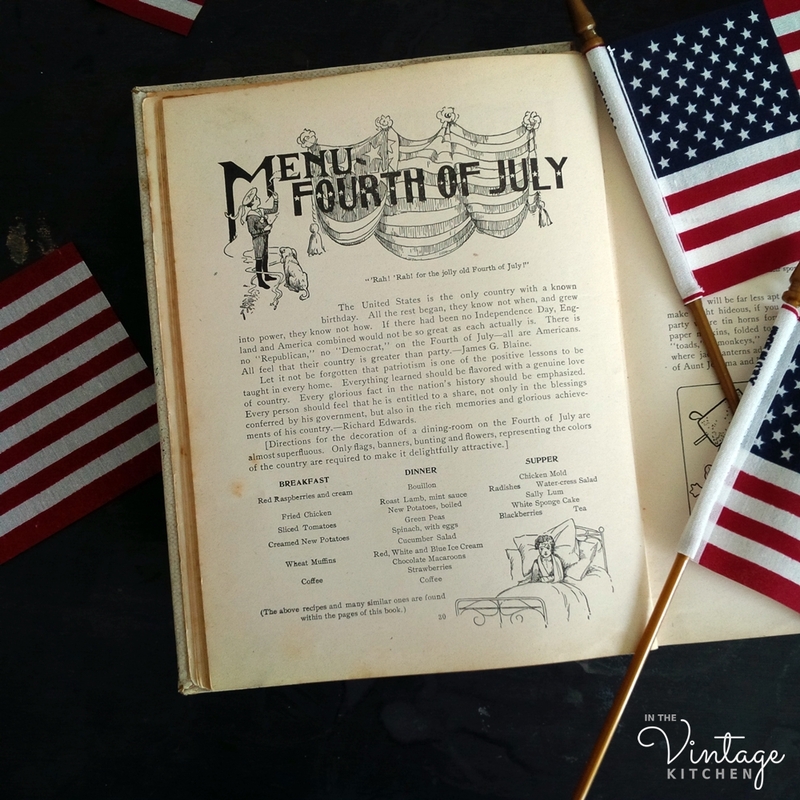 In American households during the early 20th century, the 4th of July was the one day where political affiliations were set aside. What was celebrated in conversation was not that someone was a Democrat or a Republican but instead an American. And topics led more towards incredible examples of what had been achieved in the past as a unified country as opposed to criticisms about the work that still needed to be accomplished individually. You’ll notice, even back then, the holiday has always been about cooking and spending time together. 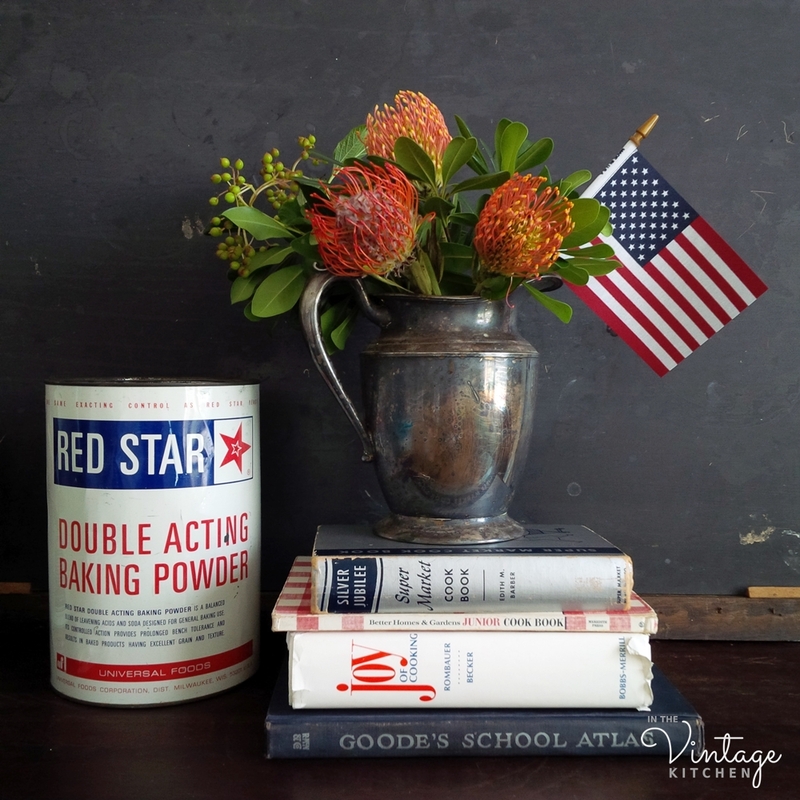 The kitchen would have been a hotbed of activity (just like it still is today) preparing all the staples we still enjoy eating on the Fourth – ice cream, salads, garden vegetables, fresh berries, cake. Our national pride might be much more diluted now than it was 116 years ago but our bellies are traditionally still enjoying the same types of food. That is a comfort at least. Teddy would have appreciated all the new voices coming forth this year (no pun intended!) in our fights for democracy and fairness and freedom for every person in America. He would have admired all the political bravery that exists today and marveled at all that we have accomplished so far. 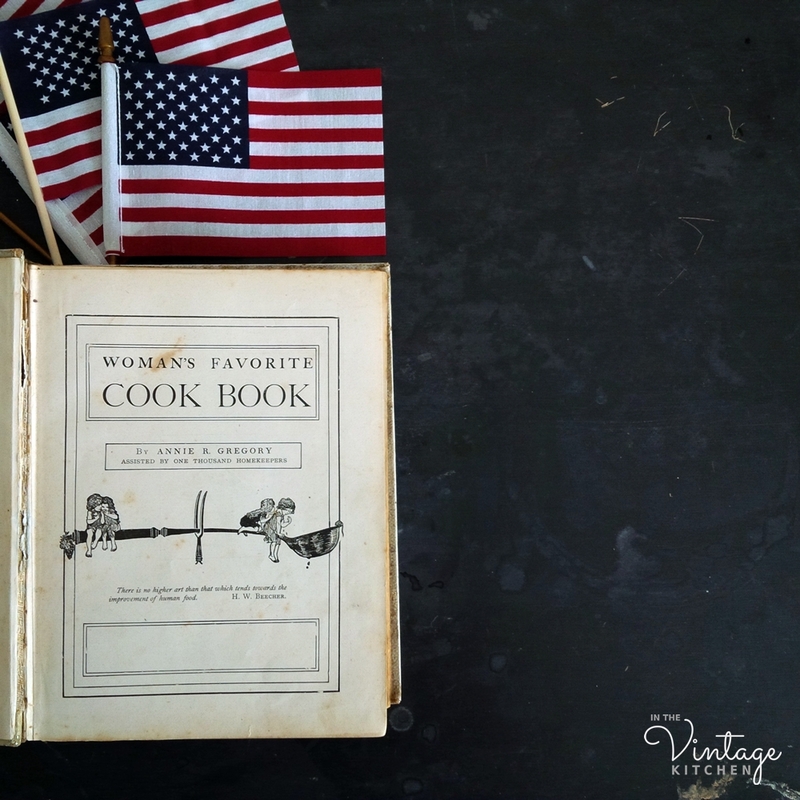 Americans of the early 20th century would have lauded our collective efforts too, noting how far we have come on the food scene as far as innovations and improvements and equipment while still managing to keep the culinary traditions of our ancestors alive. So it is with that in mind that we say cheers to the holiday, to the progress we have made, and to the traditions we still hold dear. However you choose to celebrate the 4th of July – whether you are partying it up at a fish fry, a barbeque, a picnic, a seafood boil or a campfire roast – I hope your holiday is filled with fun, family, and friends. May it be peaceful and light. And may all those fireworks be bright. Cheers to a happy holiday! We’ll see you back in the Kitchen shortly. So glad you’re back! Hope all is well now. One often reads about the enormousness of meals in, say, the Edwardian age and I always wonder if the reason we know about them is that they were extraordinary/unusual for their day. It seems a bigger problem would have been finding ENOUGH to eat…..
Oh I know it Karen. I think in those days eating habits depended a lot on your geographical location, as far as city or country. I know that people who lived in the country tended to eat ate a lot more because they had more physical jobs (often farm work). They also had access to hunting, fishing and vegetable gardens unlike the city families who were smaller in size, had less access to natural resources and had to rely upon more expensive food costs. I read an amazing fact the other day about how 80% of the US population lived on farms in the 1870’s. So that makes sense. 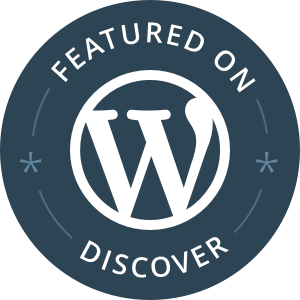 I think you have inspired another future blog post here on the eating habits of our ancestors! That’s a lot of food! 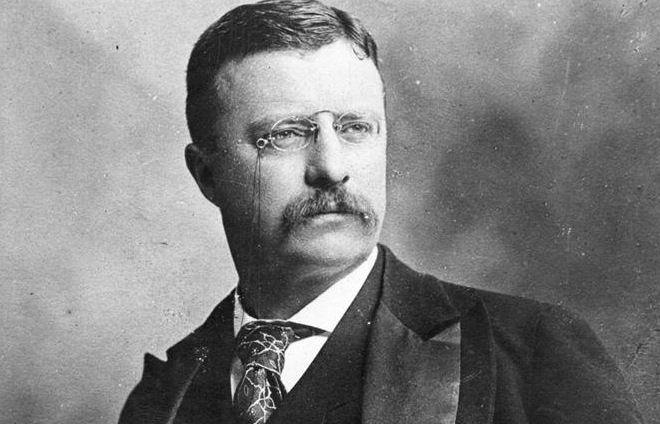 I need to keep focusing myself on Teddy Roosevelt’s idea of patriotism–some of what is being passed off as love of country right now is too narrow and intolerant for me. PS> SO sorry to hear that your life has been in turmoil! I hope all is calmer and better now. Oh thank you so much Kerry! I know what you mean… there are a lot of extremes on the political front these days – patriotism included. When I found Teddy Roosevelt’s quote I was amazed how timely it was. I guess that’s what happens when someone says something really wise – it always remains relevant no matter how long ago it was first uttered. Hope you are having a lovely summer and enjoyed a fun holiday yesterday.